The next movie release for the Marvel Cinematic Universe will occur in July with the release of Ant Man and the Wasp. 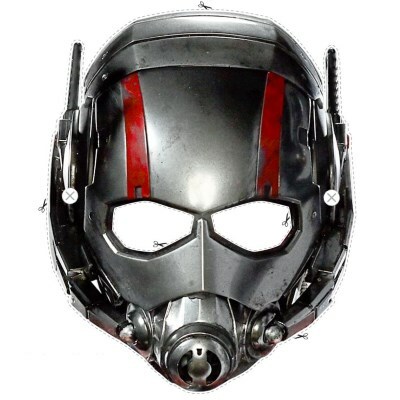 This printable 2D mask was a promotional giveaway for kids back in 2015 when the first Ant Man movie hit theaters. Now if I can just find a way to make the mask adult size... ^^ The PDF file for the mask may be downloaded here. Drogon is one of three dragons cared for by Queen Daenerys Targaryen in the Game of Thrones television show. 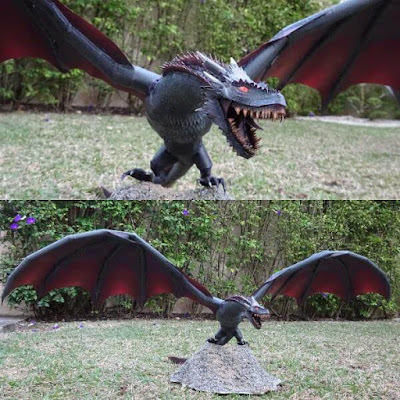 This paper model of Drogon depicts him as an adult, however the scale of the model is very close to the size of the dragon when he was newly hatched. 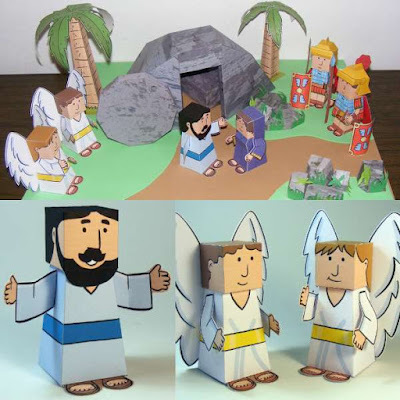 The template for this papercraft was created by Cláudio Dias and may be downloaded here. 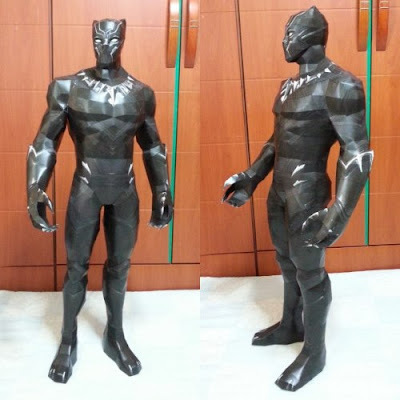 Detailed instructions are included with the template. Queen Daenerys' other two dragons are named Rhaegal and Viserion. The Marvel character MODOK is at once one of the silliest and one of the creepiest of comic book villains. MODOK (which is an acronym for "Mental Organism Designed Only for Killing") is a normal human who underwent brain enhancement, the side effect being his head grew to an enormous size. No longer able to walk on his own, MODOK relies on a high tech flying chair to get around. 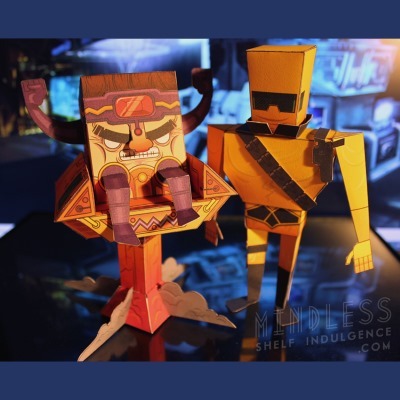 This MODOK paper toy comes with lots of accessories including weapons and several interchangeable faces and arms. Also available is an AIM soldier, one of the hundreds of minions MODOK employs. Printable PDF templates for the toy may be downloaded at the Mindless Shelf Indulgence website. 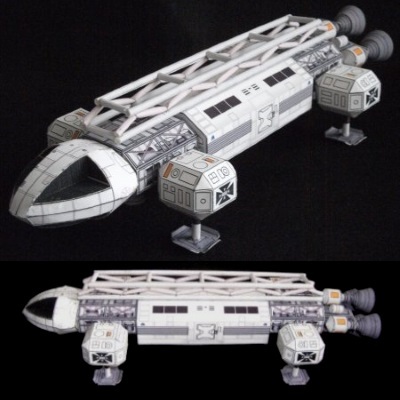 In 2011 I posted an easy Space 1999 Eagle transporter paper model. Here is a slightly more detailed model of the same spacecraft by Papertoybox. One noticeable difference between the two models is the top of the newer Eagle model has an actual 3D triangulated frame rather than the boxed-in piece the 2011 model has. The PDF template for the transporter may be downloaded here. The designer has photo instructions available as well. The Space 1999 television show aired for two years from 1975 to 1977.